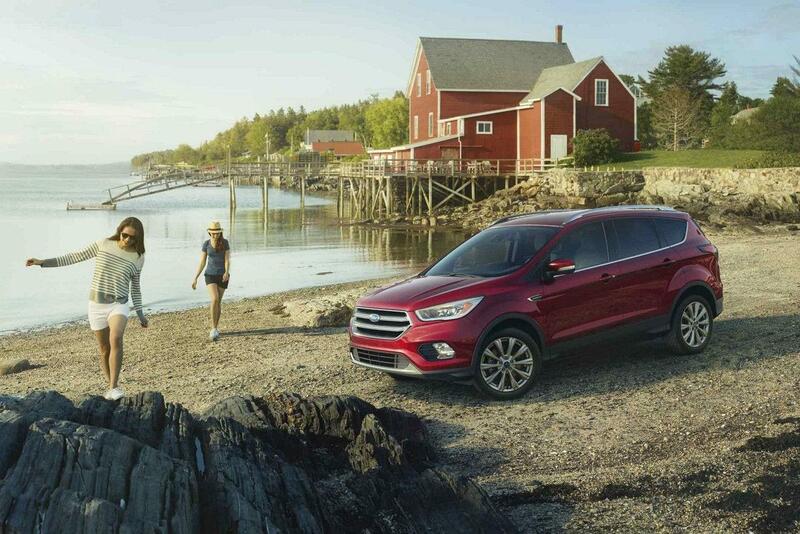 The 2018 Ford Escape is one of the most popular vehicles of its type in the world, and a real success story for the Blue Oval that shows just how in touch it is with what buyers want from a new vehicle. And when it comes to what buyers want, the latest driver assist features are as high on their lists of priorities as the sleek, sporty styling of this compact SUV crossover. So, let's take a closer look at some of the driver assistance features the latest Ford Escape has to offer. Infotainments systems are at the very core of today's most popular vehicles, and the Ford Escape is no exception. The Escape now includes the very latest SYNC 3 system, which is an easy-to-use, responsive voice-activated system with Wi-Fi Hotspot connectivity. At the heart of the system is its capacitive touchscreen that's impressively responsive and makes locating your favorite restaurants and other places a breeze with simple destination entry via the available navigation. The sleek user-friendly interface also helps you connect to and control your smartphone as SYNC 3 now incorporates the power of Apple CarPlay and Android Auto compatibility. The FordPass App is a little bit of the future right here with us today, and that's because it takes what you used to require the use of multiple apps to get done and does it all in one convenient, easy to use application. This one-stop mobility app provides features that can help you move throughout your day smarter, better and easier than ever before and lets you interact with your Ford Escape in a way that would have seemed like science-fiction just a few years ago. FordPass allows you to remotely access your vehicle information and service needs right from your smartphone, and you can even schedule your next service appointment with ease through the app. And when combined with a SYNC Connect3 enabled vehicle, even more features can be found at your fingertips. The Safe and Smart Package is a suite of safety features that combines top-tier tech innovation with the kind of driver assistance kit we can be guilty of taking for granted sometimes these days. But when everything is combined together as it is here it provides you the peace of mind on the road you want and need from a genuine family vehicle. Among the features included in the package are Adaptive Cruise with Collision Warning, a lane-keeping system, a blind spot monitoring information system and plenty more besides. And if you think accessing many of your Escape's features and systems through your smartphone is bordering on science-fiction, wait until you have a go with the available Enhanced Active Park Assist. This is a feature designed to help you park in a variety of situations with the very minimal partition on the driver's part, and that's because it means the Escape virtually steers itself into or out of a parking spot. 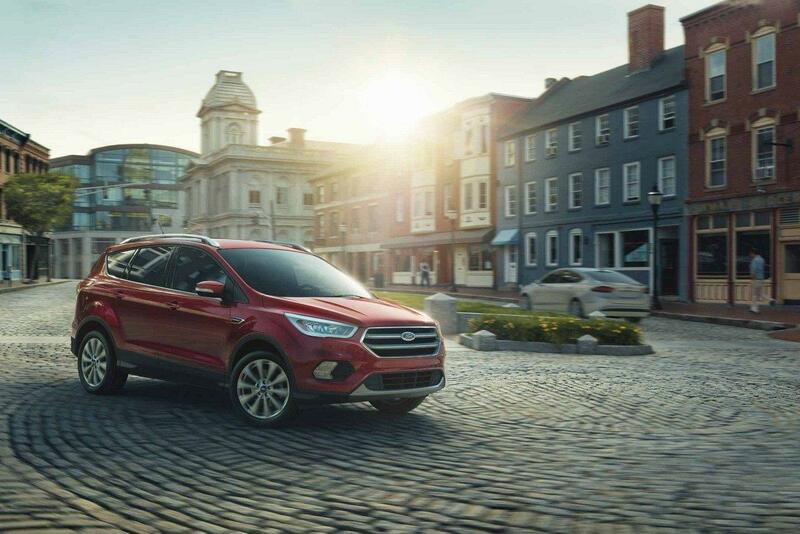 For more details about these and other features and equipment that comes standard or as available options on the 2018 Ford Escape, don’t hesitate to get in touch with us today here at Southern California Ford Dealers.